When we design a groundwater exploration program in fractured crystalline rocks, we use a systematic approach that integrates three disciplines: geologic reconnaissance, fracture trace analysis, and geophysical exploration. For some sites, optimal drilling targets can be selected on the basis of geologic reconnaissance alone. In other cases, a combination of geologic study and fracture trace analysis is the most cost-effective approach. 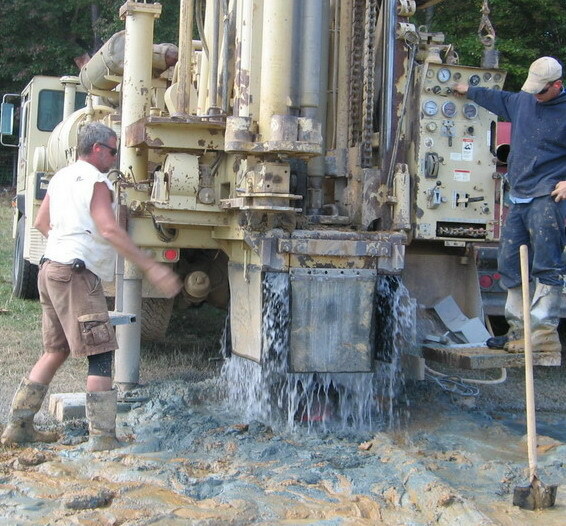 On some sites, we find that geophysical exploration in conjunction with geologic study and fracture trace analysis is the only way to locate optimal drilling targets. Researching the geologic setting of a site is the starting point for every groundwater exploration program. Studying available geologic maps and conducting geologic mapping on site give an understanding of the type of rocks in the subsurface, and provide clues as to occurrence and geometric orientation of structural features such as joints, faults and fractures that may serve as conduits for water. Water-bearing fractures in the underground bedrock represent geologic discontinuities that are commonly expressed in soils and topography at the surface. The traces of these discontinuities manifest themselves as subtle linear features that are visible to the trained eye on aerial photographs and topographic maps. The discipline of fracture trace analysis involves identifying these features on maps and photographs, and conducting statistical analysis to determine possible relationship to known bedrock structural elements such as joints, faults, schistosity and bedding planes. 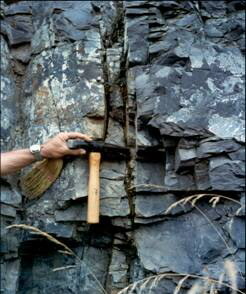 Bedrock fractures are conduits for groundwater. It is critical to integrate knowledge of the local rock structure with fracture trace analysis in order to achieve success. Some fracture traces relate to elements such as schistosity or bedding planes that are not always favorable to groundwater flow. Other elements, such as those related to joints and faults, are more likely to correlate presence of groundwater, and give favorable drilling targets. 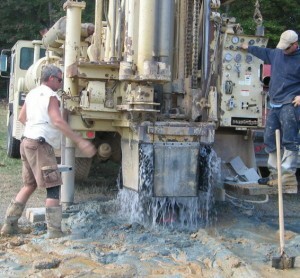 Geophysical exploration involves the use of one or more of several available survey techniques to obtain subsurface data that indicate the presence or absence of groundwater. Technologies are evolving rapidly. At present, the most effective tool for use in crystalline rocks of the southeastern US is a geophysical technology called electrical resistivity survey. Success means lots of water!